I was excited for this one after reading another collection of story stories by Wells - A Slip Under the Microscope. This one disappointed me for a number of reasons. 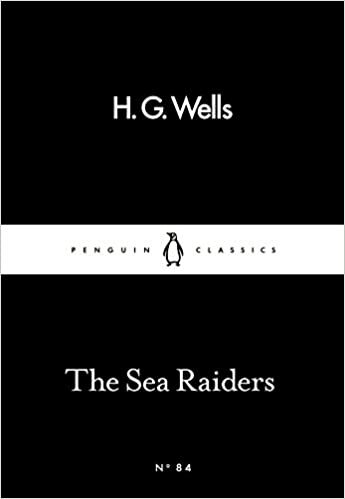 The first story, The Sea Raiders, was an uncomfortable tale of deep sea monsters attacking an English coastal town and gobbling up some of its inhabitants. This should have been terrifying for me, a desperate individual fearful of anything dwelling in water, even goldfish. Despite a few truly disgusting and unsettling passages, the deeply factual narrative seemed to eradicate all tension and suspense from the prose. I read around half of the second story, The Land Ironclads, and gave up. I had no idea what was going on and was horribly disengaged. Something about big scary machines. And miraculously, gloriously, The Magic Shop saved this entire book. A man and his son stumble upon a shop of magic tricks in London and wander inside. As you can imagine, wonderful, awe-inspiring things are shown to them. Beautiful displays of magic the likes of which would enthral any character. The deeper into the shop the two travel, the faster things become more frightening and macabre. This was tension; this was engagement. I adored The Magic Shop and its ambiguous ending, allowing our thoughts to continue to collide for hours after turning the last page. There is still no denying I was in the presence of the father of science fiction here. Nevertheless, I would absolutely recommend A Slip Under the Microscope over this one, unless you’re prepared to seek out this book only to skip to the shortest and best story of them all.